Is your wood deck nearing the end of its useful life? The average deck lasts 10-15 years, with regular maintenance. How old is yours? 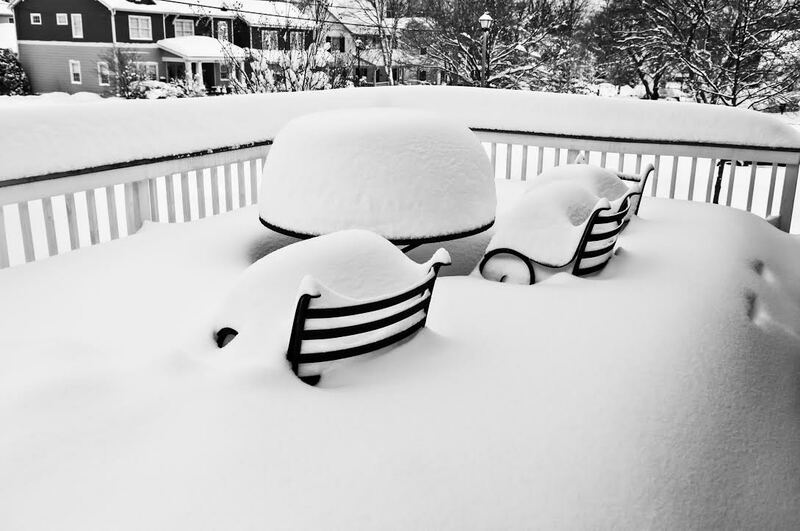 If it is teetering on the edge of usability, it is important to address the issue before the first big snowfall of the year, which could hit Severna Park in the coming weeks. According to climate experts at the National Oceanic and Atmospheric Administration, we are in for another harsh winter. And the added weight of the coming snow could be enough to send your deck crashing down. According to a study performed and published by Morse Technologies Inc., USA., the majority of deck collapses between 2000 and 2006 occurred while the decks were occupied or under a heavy snow load. Before you throw in the towel and condemn your deck, consider your option. Redecking is a great way to revitalize your old deck so you can enjoy it for years to come. If your deck is old and worn down but still has a solid, sound structure, there’s no need to tear it down. Redecking is the process of having your deck resurfaced while maintaining and reusing the understructure of your existing deck. Typically, redecking is a much more cost effective option, saving homeowners as much as 20% over the cost of a new deck. Is Redecking an Option for Me? The only way to tell if your deck is a candidate of redecking is to have it inspected by the professionals at Freedom Fence and Home. With 40 years of experience, Freedom Fence and Home has provided the highest quality fence and decking services to its many residential and commercial clients throughoutMaryland. Our crews are highly trained and ready to help. Freedom Fence and home has successfully completed hundreds of redecking and deck replacements projects throughout Severna Park and the surrounding area. Once your deck goes through this thorough examination, we will know whether or not redecking is an option. If it is not, we will discuss your options with you. If it is, we will go ahead and schedule your project. If you have any questions about Redecking in Severna Park, please contact Freedom Fence and Home by calling 443-271-6841 or visit our website. You can also follow us on Facebook and Twitter! This entry was posted on Wednesday, November 19th, 2014	at 7:36 pm	. Both comments and pings are currently closed.